Matthew Parris was educated in Britain and Africa graduating from Clare College, Cambridge, and going on to study International Relations at Yale. Two years at the Foreign Office were followed by a spell at the Conservative Research Department. From 1977 until the 1979 General Election, he was on the staff of Mrs. Thatcher’s office. Elected Member of Parliament for West Derbyshire in 1979, he gave up his seat in 1986 to become Presenter of LWT’s Weekend World, a political interview programme. He led expeditions to Mount Kilimanjaro in 1967, 1989 and 1996; to Zaire in 1973, the Sahara in 1979 and to Peru and Bolivia on several occasions. He writes for The Times and for The Spectator. His first book Inca-Kola in 1990 was about his travels in Peru. His second, in 1991, was a compilation of his pieces in The Times under the title So Far, So Good. Since then there have been several updates. The first, in 1993 (and revised in 1994) was Look Behind You. In May, 1997, the latest compilation called I Couldn’t Possibly Comment was published. Scorn, a book he has edited of quotations about curses, jibes and general invective, came out in October 1994 and was up-dated in 1995 with the new Title Scorn – With Added Vitriol and came out in paperback in 1996. A third edition, Scorn: With Extra Bile came out in 1998. Great Parliamentary Scandals was first published in October 1995 and was updated and issued in paperback in 1997. Read My Lips, a treasury of things politicians wish they had not said, was published in 1996. The Great Unfrocked has just reached the bookshops and is a catalogue of misdemeanours carried out by people in the Church. 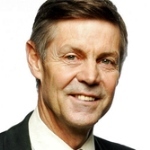 Matthew Parris was awarded the London Press Club’s Edgar Wallace “Outstanding Reporter of the Year” Award in 1990; the British Press Awards’ “Columnist of the Year” for 1991, 1993 and 1995, and the “What The Papers Say” Columnist of the Year for 1992. In 1994 he won the national newspaper category in the Annual Media Awards given by the Institute for the Study of Drug Dependence. In the first Channel 4 Political Awards, he won Journalist of the Year, 1998.